Today, Christine and the Queens releases the critically acclaimed English self-titled debut album in North Americavia Neon Gold / Because Records / Atlantic Records. The pop sensation will join Marina and The Diamonds on tour starting 10/19, which will go through California, Portland, Canada, Seattle, Salt Lake City, Denver, and end with 3 New York shows; two at Terminal 5 and a solo headline show at Webster Hall. Earlier this week, Christine and the Queens has premiered her video for "Paradis Perdus" via Vogue (Youtube HERE). Fully conceptualized by Christine herself, she enlisted the help of fashion designer JACQUEMUS to beautifully realize the suit visual and reunites here with the duo J.A.C.K, composed of Camille Hirigoyen and Julien Choquart who have directed "Tilted" / "Christine", and her award winning video for "Saint Claude" as well. "Paradis Perdus" is combination of Kanye West's "Heartless" and Christophe's "Les Paradis Perdus". Christine and the Queens about the video: "This pink suit is the real protagonist of the videoclip - I wanted it to be that way. It had to grow. To be alive. It had to make me feel too old and then too young, too little and then too big. I'm lost in it, lost myself in it. The old man and the little boy are both floating in the fabric. One used to fit in his clothes, the other one will one day. Isn't it the same ? I wanted someone who would play with proportions with the mind of a child - to help me with this suit, this story. Simon Jacquemus is, for me, a storyteller, a very gifted child - and an old man like me is very proud of our collaboration." JACQUEMUS about working with Christine: "I met Christine over a glass of orange juice a few months ago, after I told her that I loved her on Instagram. We talked about a lot of things, about « Paradis Perdus » and of course about this XXL outfit. I feel very connected to her, to her songs, to her minimalist aesthetics, to the way she moves. Her album is one my favorite, of all categories. I hope I’ll have the opportunity to work with her again." Christine and the Queens made her North American ep debut earlier this year with the Saint Claude EP, highlighted by the international hit singles “Saint Claude” and “Tilted.” The latter track – hailed by VICE’s Noisey as “lithe, perfectly parsed pop” – comes accompanied by a unique video, streaming at Christine’s official YouTube channel HERE. Hailed worldwide as a visionary live artist, Christine was among the breakout stars performing at this year’s South By South West (SXSW) in Austin, Texas. From there, Christine and her band served as special guests on fellow Neon Gold recording artist Marina and The Diamonds’ west coast tour dates. Recently named “Female Artist of the Year” at the French GRAMMY-equivalent Victoires de la Musique ceremony, Christine is already a household name in her native country. “Saint Claude” – which received “Music Video of the Year” honors at the Victoires de la Musique – has proven a massive worldwide hit, earning more than 13 million individual views thus far HERE. In addition, “Christine” HERE – the French-language version of “Tilted” HERE – has drawn nearly 14 million views and counting. 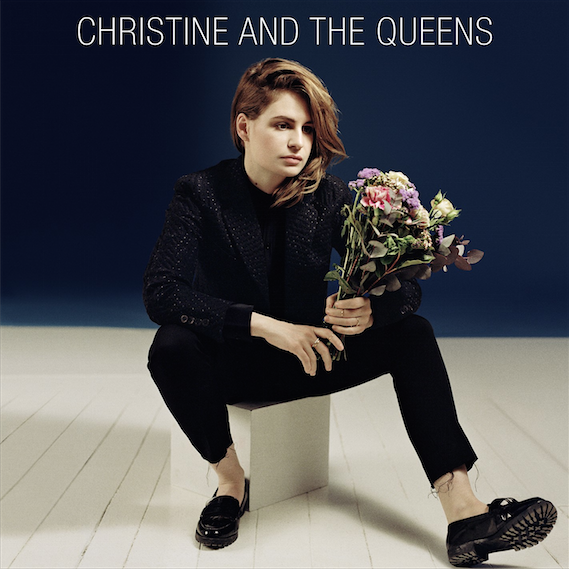 Christine and the Queens came together in London where the Nantes-born Letissier went after studying art and theatre. The artist – named in honor of Christine’s cross-dressing friends at Soho’s famed Madame Jojo’s drag bar – released a series of three EPs beginning in 2011, each one earning further attention and acclaim for her utterly individual brand of French-language freak-pop. Chaleur Humaine arrived in 2014 and immediately established Christine as a phenomenon, earning over 5x platinum certification in just over a year.